Round the corner from Simon Rogan’s two-starred flagship L’Enclume, Rogan & Co is a relaxed neighbourhood restaurant making the most of Lake District produce. The sleepy Cumbrian village of Cartmel is famous for a few things. There’s the racecourse, which despite being small is one of the country’s most popular. There’s the Cartmel Village Shop, home to the universally loved Cartmel Sticky Toffee Pudding. 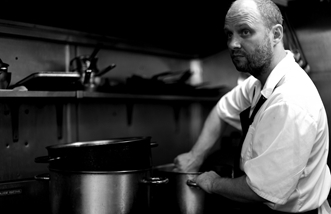 And of course, there’s L’Enclume, Simon Rogan’s acclaimed restaurant which holds two Michelin stars. But while L’Enclume is perfect for a special occasion, Simon’s other restaurant Rogan & Co is perfect for more regular, relaxed dining. With old wooden beams, soothing grey walls and minimalist Scandi-esque furniture, the restaurant is all about casual eating with the attention to detail you’d expect in any Michelin-starred establishment. While the majority of the fresh produce comes from the Lake District, many of the dishes have an international twist. Mackerel comes with local pickled vegetables and wasabi, for instance, while ice cream is drizzled with a miso caramel. 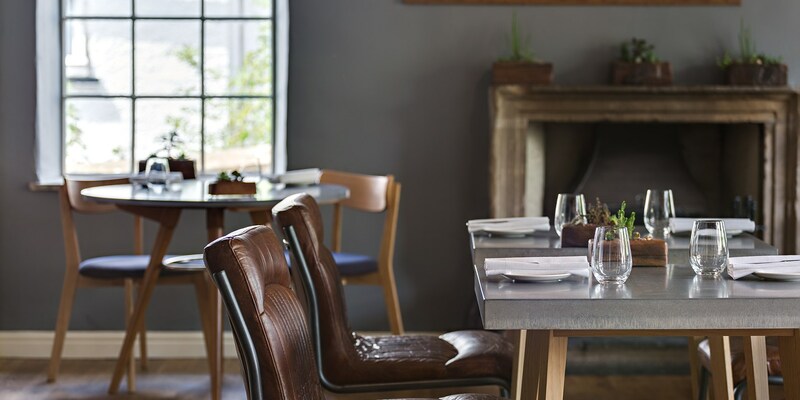 Menus are kept simple at Rogan & Co – there’s a lunch menu, an à la carte and a Sunday lunch menu (which features large cuts of meat and fish to share) rather than the tasting menus of L’Enclume. 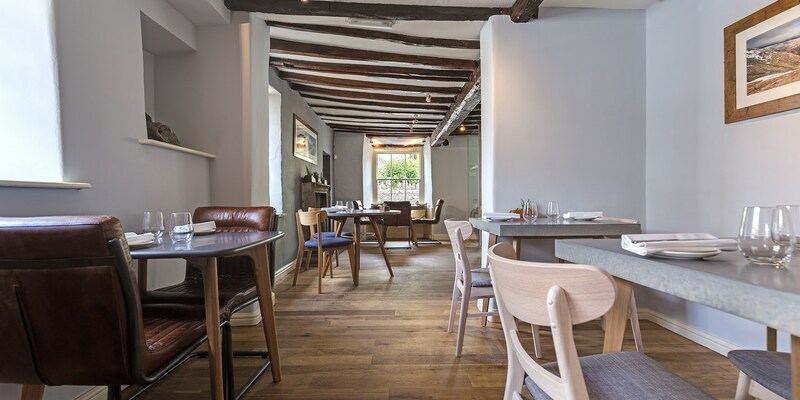 While it has the vibe of a neighbourhood restaurant, it still attracts diners from all over the UK, and many who travel from abroad to eat at L’Enclume will also eat at Rogan & Co the next day, to experience both sides of Simon’s cooking. While Simon is the chef-owner of Rogan & Co, head chef Gerald Van Der Walt sees up the day-to-day operations in the restaurant. Guests staying overnight in one of L’Enclume’s hotel rooms can go to Rogan & Co to eat breakfast the morning after. Many of the ingredients used in the kitchen come from Simon’s own farm just a few miles down the road.